The good news is that it’s the final week of the 2017 NFL regular season and the Buffalo Bills are still playing a meaningful game. I’m sure you have seen the playoff scenarios a hundred times but I’ll replay them one final time (or so you hope). The Bills have to win Sunday in Miami. If they win then they have to hope that the Baltimore Ravens lose to Cincinnati in Baltimore. They can also get in if Baltimore wins and Tennessee and the Los Angeles Chargers lose. The chances of that are remote as both Tennessee and Los Angeles have very winnable games. The Titans play at home against Jacksonville and Jacksonville has already clinched a playoff berth. Nothing changes for the Jags with a win or a loss. The Chargers host the Oakland Raiders who have been playing horrible football of late. Yes, anything can happen but the reality is the Bills just about need a miracle. When a team’s destiny is out of their hands, it usually makes for unhappy endings. Can the Bills win in Miami? Yes, and it’s because they are the better team. The Dolphins have lost two in a row and seven of their last nine games. The simple truth is they aren’t playing good football. 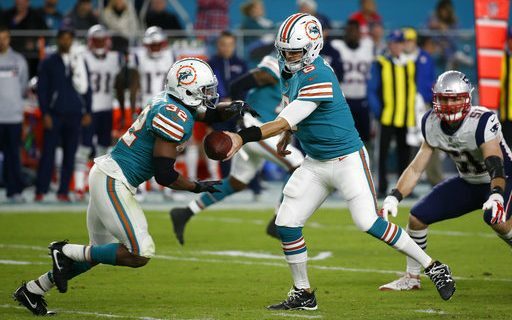 The Dolphins lost quarterback Ryan Tannehill during the preseason and Head Coach Adam Gase hoped that he could get a strong season from Jay Cutler after he was brought out of retirement. Cutler had one of his better seasons as a pro under Gase in Chicago in 2015, but just couldn’t get back to that form with the Dolphins. Part of the reason is that when a player retires, he mentally checks out from playing the game. Once that is done, it’s hard to get back to what is needed mentally to play in the NFL at a high level. To date, Cutler has completed 62% of his throws for 2660 yards, 19 touchdowns and 14 interceptions. His quarterback rating in only 80.9 and he has been unable to come up with the big play when it is needed. On paper, the Dolphins have strong receiving led by Jarvis Landry. Landry has 103 receptions, but he averages just 8.7 yards per catch and doesn’t scare a defense. The other top two receivers are DeVante Parker and Kenny Stills. Parker can be a big play threat, but really hasn’t been this year. The run game is led by second-year man Kenyan Drake who has run for 359 yards in the last month. Drake has speed and elusiveness, and if he can get in the open field he is capable of taking it to the house. Like every week, the key for the Bills is to be able to run the football and put pressure on the opposing quarterback. Jay Cutler has been prone to turn the ball over when under heavy pressure. The Bills also have to find a way to get the passing game going. I say this every week, but it’s the truth. With Tyrod Taylor throwing the ball the Bills wide receivers are basically a non-factor. Taylor struggles to get the ball downfield. It is imperative that this week he finds a way to get Kelvin Benjamin, Zay Jones and Deonte Thompson the ball. Doing that will help the run game. Put up a lot of yards on the ground against the Dolphins, and it’s a win. Whether or not the Bills make the Playoffs, this season has been a huge improvement over the last few years. The team is going in the right direction. Give them a few more quality playmakers on each side of the ball (including a quarterback), and this team can be a consistent playoff contender.